Amanda of Bloggerbuster has made what she calls the Super Custom Blogger template. She called it Super Custom because she has made it one of her most customizable template where many things including fonts, colors, etc., can be changed from the Dashboard. You can see a demonstration blog using this Super Custom Blogger template at Guide to Denmark. Although it is highly customizable, I did not do any customization. Bloggerbuster templates can be downloaded as a zip file. Before you can use it, you have to extract all the files. You will see the window as shown in the screen shot above. Note the .zip extension. 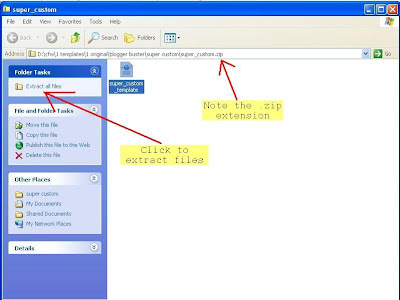 To extract the files, click "EXTRACT" and the end result is an xml file with the .xml extension. It is this file that you can use to install the Super Custom Blogger template. If you are not familiar with changing templates, refer to How to change Blogger XML template. Before you do that, make sure you backup your template and backup your Page Elements. Reset widget Page Element comment signature etc. Please refer to Symptoms of problems. Trouble shooting tips. 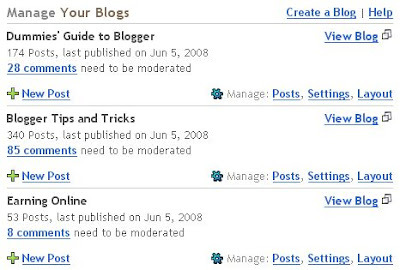 Instruction to reset widgets and Page Elements if your blog is missing comments link, author signature, etc. even though settings are set to enable comments, etc. Please provide feedback as to whether that trouble shooting tips work. Symptoms of problems. Trouble shooting tips. Instruction to reset widgets and Page Elements. 1000 apologies to bloggers who left comments still not getting responses. Peter Chen sitting for examination on June 14. Will work on comments on and after June 14. For those whose comments are in those 121 comments waiting for approval, hope you have some patience as I try to clear the backlog. You may have read about my disappointment at not being accepted as an author for Blogger for Dummies (Wiley Publications) but was not selected because I troubled the publisher with too many emails. Perhaps that "failure" is a blessing in disguise as I now have a more holistic dream or goal, and it all started with agreeing to help my sister-in-law, Kok Lee Wah, with a blog to help her recruit agents for her AIA life insurance district WealthVest. In order to become a District Manager for WealthVest, she had to give up her original life insurance agency, KL/Legacy. Since Kok Lee Wah is an extremely busy person, she had been unable to provide the content, which was what we agreed to - I manage the blog and she or her assistants provide the content. After waiting for a long period of time and no significant content forthcoming, I finally decided to be a life insurance agent myself and thus provide my own content. The second day after discussing the possibility of becoming an AIA insurance agent, I attended a great presentation where in addition to winning a nice ball point pen souvenir, I ended up with "I want to take over KL/LegacyTM" when asked what is my dream. I voiced that out in public, looks like I have to "put my hands, feet and brain to my mouth." Perhaps I may even put them up as downloadable PDF book and probably sell them online via PayLoadz. However, being a relatively new and unknown author, I may face problems selling them. Perhaps offering some kind of promotional products for those who download the PDF book or books may help. Perhaps try out some low cost promotional items like Widebody Bic Custom Imprinted pens as I would like to keep cost down. 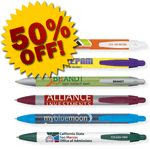 These promotional customized pens at currently on offer at 50% discount. Now the PDF book "Dream Driven Life" (© Peter Chen May 2008) or "Goal Driven Life" (© Peter Chen May 2008)will be all about motivation and how we must have a goal or dream in life to achieve anything significant. This motivation book will be very suitable for commercial corporations to motivate their staff to achieve greater success. Perhaps I should offer for corporations buying my motivation "Dream Driven Life" (© Peter Chen May 2008) to help promote my PDF book. Now to find the time to publish these 2 PDF books. Praying for 48 hour days.